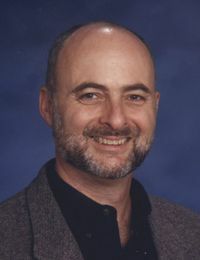 MICHAEL A. VENTRELLA: I am tremendously happy to be interviewing one of my favorite authors this week, David Brin! 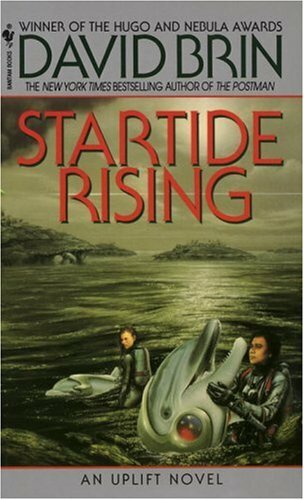 The number of award-winning books he has authored is amazing, among them EARTH, STARTIDE RISING, GLORY SEASON, THE POSTMAN, SUNDIVER, and the UPLIFT series. His KILN PEOPLE is a fast-moving noir detective novel, set in a vivid future when people can literally be in two places at once. His hard science fiction comes from someone who knows his stuff — he has a doctorate in space sciences among his degrees and honors and is a fellow of the Institute for Ethics and Emerging Technologies. He also does graphic novels: TINKERERS shows a future when the nation’s manufacturing has declined and searches for answers, and THE LIFE EATERS explores how mystically-obsessed Nazis might have hoped to use a bizarre kind of magic. And then there’s his popular nonfiction romp that stirred lots of controversy, STAR WARS ON TRIAL: SCIENCE FICTION AND FANTASY WRITERS DEBATE THE MOST POPULAR SCIENCE FICTION FILMS OF ALL TIME. His web page is here. And, if you are interested in writing advice from a real professional, David has a section on his web page for you. David, a theme in many of your work is about enlightenment and human progress. Humanity only started progressing recently in human history, primarily because of science. Do you think enlightened literature (specifically science fiction) has helped to bring this about? DAVID BRIN: Of course it has. Science fiction arose to prominence in the United States and Britain exactly in pace with the climb to scientific pre-eminence in both nations. It flowered then in Japan and is now burgeoning in China, even as it has fallen into harder times in the U.S. See the correlation? But it goes beyond simply inspiring a new generation of vividly motivated technical types. Science fiction also reflects the concerns of the times. Self-preventing prophecies like 1984, “Soylent Green” and “Dr. Strangelove” made us ponder, soberly, the possible ways that liberty, or the planet, or life itself might be lost, girding millions to dedicate themselves, striving to prevent the portrayed worlds from coming true. That’s power. And SF offered the opposite – portrayals of us coping, learning, growing, improving. Stories of hope, like “Alien Nation” and – of course – “Star Trek.” Alas, these have grown unfashionable, much to our loss. VENTRELLA: There’s a noted backlash against science in America these days. Certain political personalities rebel against things they know nothing about, denying climate change and evolution. How does one fight against this kind of stupidity? BRIN: First, we must expose who benefits from this callous, cynically destruction thing called “culture war”… which has spoiled the generally pragmatic American genius for negotiation and practical compromise. We tend to not be dogmatic types… unless we are at war. Indeed, I look at the furious rage that now infests us, manifesting in outright war-level campaigns against scientists, teachers, doctors, journalists, economists, professors, skilled labor, civil servants… against all the “smartypants” clades… and I am compelled to realize – we are in Phase Three of the American Civil War. VENTRELLA: Do you worry that lately we as a society may be moving backwards? BRIN: Back in the 1950s, Robert Heinlein foresaw this kind of an era. He forecast the year 2012 as when a briefly maniacal United States would “elect” a non-plurality president – a fundamentalist preacher named Nehemia Scudder – who would them proceed to clamp a theocracy upon our land. Scary stuff and dismally prescient. VENTRELLA: One of my favorite novels of yours is EARTH, which made some staggering predictions about the near future, many of which have already come true. How much of that novel was the result of research and how much was pure guesswork? Have any of your predictions surprised you? BRIN: Actually, my fans have noticed the unusual number of “hits” or predictive successes that seem to have been scored in EARTH. These accurate foretellings … and some that were embarrassingly off-target(!) are now being tracked here. VENTRELLA: Do you see a future for religion? BRIN: While I am scientifically trained, with my union card as an astrophysicist, and I am proud to be a member of a rational civilization that does not need threats of hell to behave far better than any other. I refuse to go to the opposite extreme as so many have, and deride our neighbors who believe. (Indeed, I have some levels of spirituality, myself.) Yes, some versions of God are excluded now by our clear-eyed view of reality and the cosmos, but some have not been and I see no harm in acknowledging some tasty… possibly theologically redolent… ambiguity. In fact, see me get all biblical! Science-friendly theology? At the recent Singularity Summit 2011 I gave a talk to all those folks who think that technology will soon empower us to construct super-intelligent artificial intelligences, or perfect intelligence enhancing implants, or even cheat death. The title: “So you want to make gods. Now why would that bother anybody?”. BRIN: All of the above. I like to surprise myself! BRIN: Let me admit and avow that writing was not my own first choice of a career. True, I came from a family of writers. It was in my blood. But I wanted something else — to be a scientist. And by the fates, I became one. I also had this hobby though — writing stories — and it provided a lot of satisfaction. I always figured that I’d scribble a few stories a year… maybe a novel now and then… while striving to become the best researcher and teacher I could be. Don’t mistake this for modesty! It’s just that I perceive science — the disciplined pursuit of truth — to be a higher calling than spinning imaginative tales, no matter how vivid, innovative, or even deeply moving those tales may turn out to be. I know this seems an unconventional view. Even now that civilization has made it clear that it wants me to write and not do research (by paying me better) I still try to bring the thinking tools of science into all that I write, even light fantasy. VENTRELLA: What’s on your plate these days? What can we look forward to? 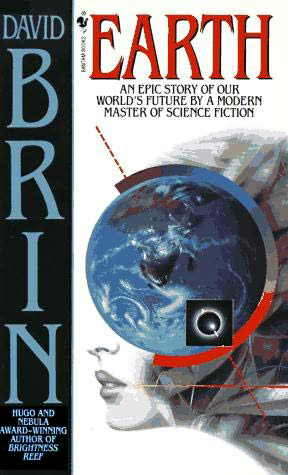 BRIN: Keep your eyes peeled next June for a sprawling near future novel called EXISTENCE. 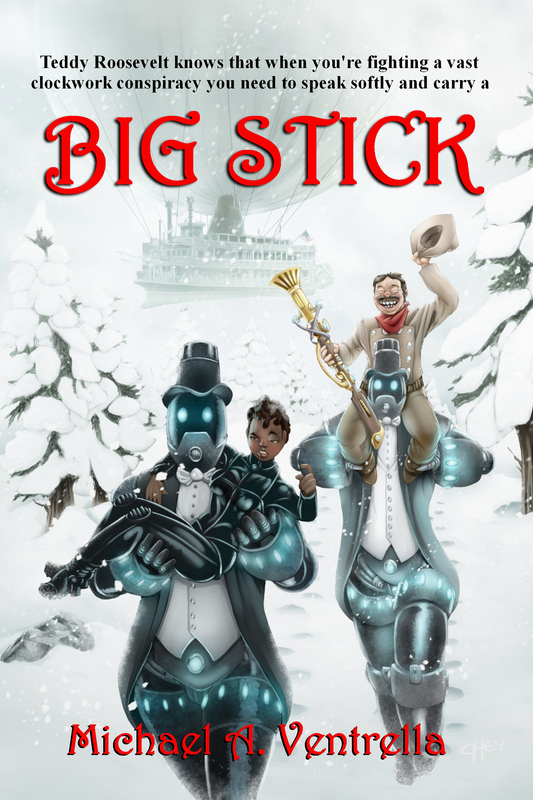 My first big-Brin-book in some years, it’s filled with epic scope, adventure, and more huge ideas than you’ve ever seen packed in one place! It also has some “uplift portions”… and a first contact scenario that I guarantee you’ve never seen before. Stay tuned! And yes, folks want more Uplift. I do hope to get back to Tom, Creideiki and the others soon. (I assume you’ve read the second Uplift trilogy, starting with BRIGHTNESS REEF? ) Till then, see the story “Temptation” downloadable here. Some will argue that EXISTENCE is Uplift! VENTRELLA: Any news on SKY HORIZON? 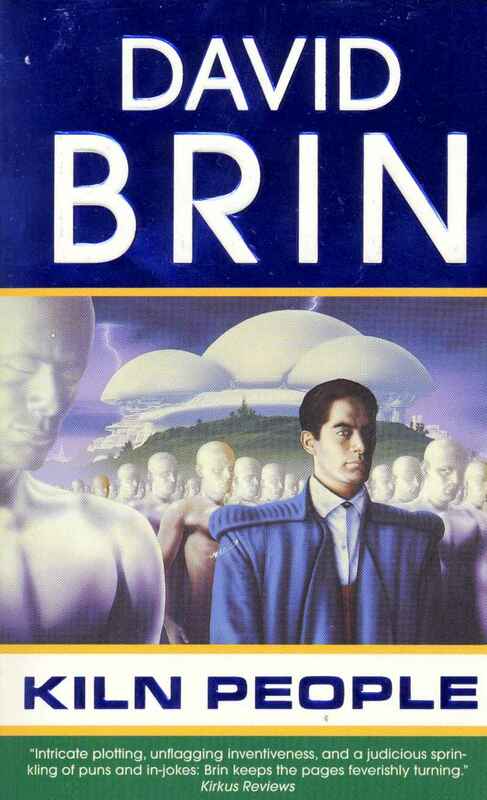 BRIN: SKY HORIZON is a short but exciting novel in the Heinlein tradition won the Hal Clement Award for best SF novel for young adult readers. The limited run, from Subterranean, is sold out. I’ll announce when a mass market edition is available… as well as the sequel, written with the great young author Jeff Carlson! VENTRELLA: Any other news you’d like to share?